intimate Evening with Queen afua - "Heal ThySelf"
During the course of her career, Queen Afua has guided men and women from around the world on a holistic transformation journey to the Global City of Wellness, a set of schools with a curriculum to instruct individuals and train leaders in principles for achieving personal and global optimal wellness. 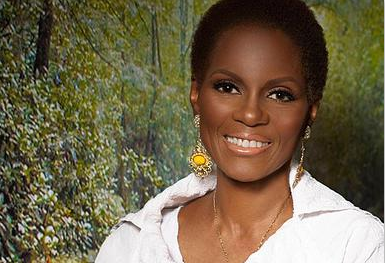 Queen Afua’s mission is to holistically create vibrant, healthy families, communities and cities globally. Through her “healthcare is self care” 21 and 84 Day lifestyle teachings, Queen will raise up a healer in every home and turn every home into a Wellness Center. Thereby, restoring humanity to body, mind and spiritual radiance.